I’m not really into ‘Vintage’, but this outfit is very much my vintage, and reminds me of a skirt that I made in about 1976. Its taken a bit of ‘design’ work to get to this finished outfit, which is a skirt and blouse. 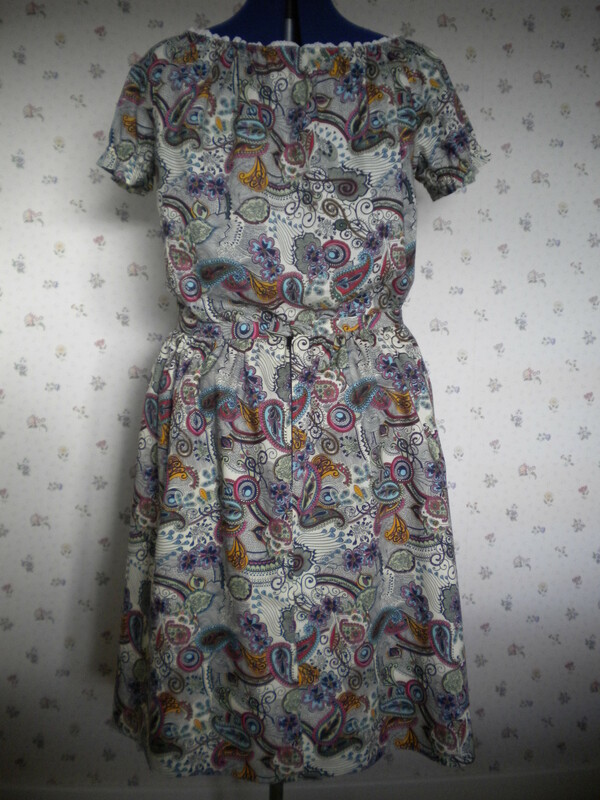 Its a combination of Butterick 6203, and Butterick 4685, which I have made before, here. 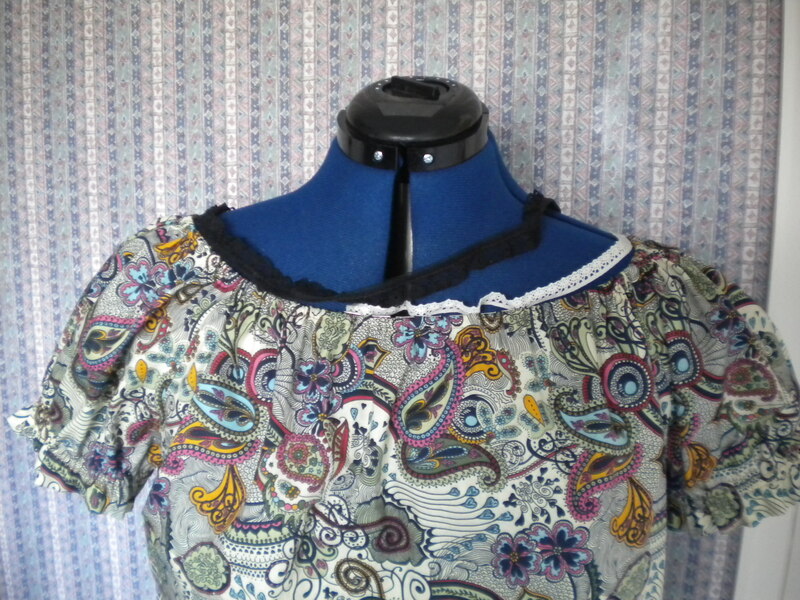 Then I needed a blouse with a similar expanse of fabric on display, that would work either independently, or together. I bought Butterick 4685 some years ago, and have used it once. 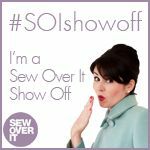 In keeping with the 70’s style, it was perfect, as I said in my previous blog….. I lined the skirt with some relatively inexpensive gold lining from Fancy Silk Store, and pretty much drafted a waistband to fit. I borrowed the band width from a skirt pattern, but that’s all. Noting that the fabric would drape and fold nicely when it was gathered, I wanted to be sure that the lining would not affect this in any way. The original pattern is not lined. 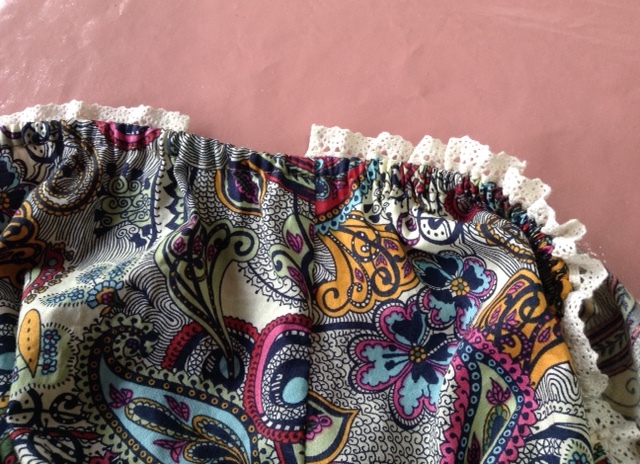 I sewed the two skirts separately, and then attached the skirt to the lining at the waist, and pulled the threads….. then I let it all hang for a while. 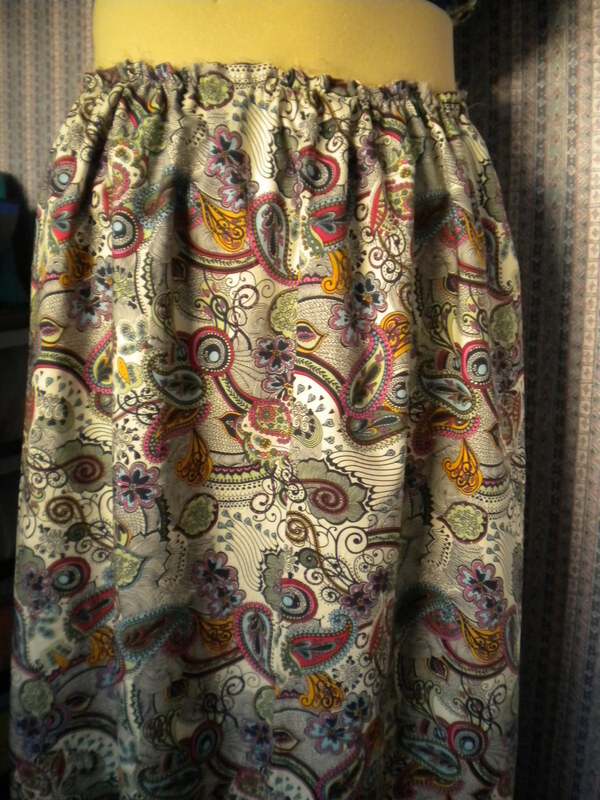 I was pleased with the results, so then I attached the waistband. I used a 7″ black zip, and hand stitched the lining to the zip once it was in place. The hem was quite fiddly, especially as I have to rely on the hem marker on my dress form (without which I could not manage…. ), but knowing that I needed to shorten both layers by quite a bit, there was quite a lot of pinning, pressing, trying on, cutting, more pinning and so on. I hand stitched the hem. In fact, I did a lot of hand stitching that day, as I hand stitched the inside of the waist band as well. 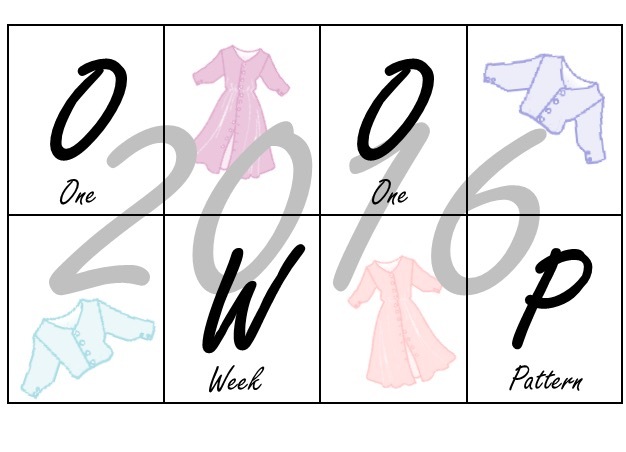 Its an easy pattern, with only four pieces – a front, a back and two sleeves. The instructions for the sleeves gathers were a bit odd, but I looked at the design and worked out how to do it myself. Decision: to trim or not to trim? Its not unusual for me to buy several options for trims, usually from Birmingham market. That’s where the black lace came from. The biege lace, which I eventually chose, is from Guthrie-Ghani. The pattern asks for 3.8cm lace, which I thought was a bit wide. So both choices above are much narrower. But the trim is attached to the raw edge of the neckline, and then folded over with the neckline elastic casing, leaving just a small amount visible. I didn’t want to do that, but the alternative is to either create a slightly bigger casing, and very carefully stitch the trim to the top edge, with the risk that the elastic won’t then feed through, or hand stich with tiny stitches, after the elastic is in place. More hand stitching: I chose the latter approach. And had about 5cm too little trim! If there is one join, then why not two? I can’t see them. They are on one of the shoulders. But now I have just under of metre of this trim – what can I make with it? I’ll think of something! And some black lace as well. Following a brief browse through the clothes shops, I seem to have accidently made something quite trendy. There may be matching shoes to follow! 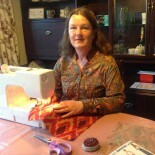 This entry was posted on April 8, 2016 by ann hebden in Blouses, Butterick, Dresses, Fashion, Handmade, Sewing, Skirts, Tops and tagged blouses, Butterick, Dress, Fashion, Handmade, Sewing, Skirt, Tops.